Healthy Tasmanian Workplaces is a 12 month health and wellbeing program freely available to Tasmanian residents via their employer. All workplaces in Tasmania are eligible to take part and the program is suitable for employees of any age and fitness level. 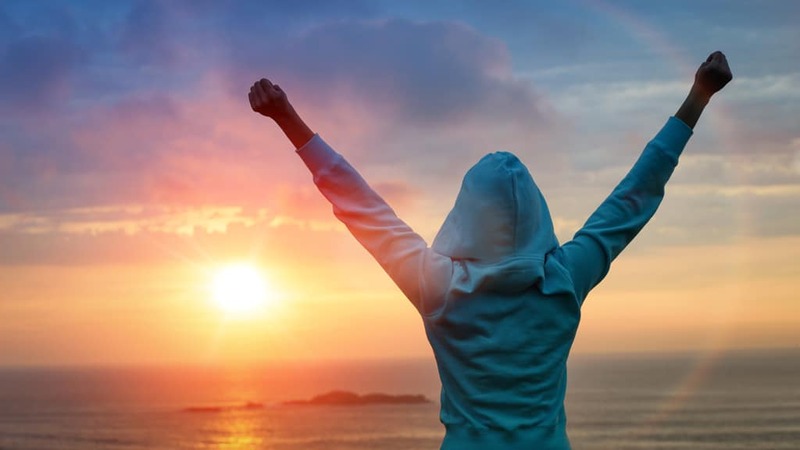 The program forms a key part of the state government’s Healthy Tasmania Plan and is delivered in partnership with behavioural change experts, Ritualize. Typically, employers pay for their staff to participate but, thanks to the state government’s support, the program is free to all Tasmanian employers and their employees. Friends and family are also eligible to take part, free-of-charge. WHAT’S IN IT FOR OUR WORKPLACE? Ritualize has delivered significant benefits to workplaces across public and private sectors to clients of all sizes. Benefits can include quick-wins such as raising awareness of health and wellbeing through the BioAge assessment; and improving overall health literacy via educational content. Longer-term gains include the formation of healthy rituals including increased exercise, reduced alcohol consumption and improvements to diet – leading to improvements including increased energy levels, better focus, healthier mindset and reduced fatigue. Another key benefit to employers is the delivery of a program focussed on providing benefits to their employees and the associated goodwill that can generate. Everyone begins by taking their BioAge assessment – Ritualize’s proprietary Health Risk Assessment survey which enables participants to assess the impact of their lifestyle on their health in easy to understand terms. Throughout the program, participants are encouraged to browse the ‘Learn’ section for videos and articles covering the science of behaviour change and motivation, recipes, exercises, breathing tutorials and more. Based on their personal BioAges results, participants are given a list of positive habits (Rituals) to choose which they must complete and log every day, relating to exercise, nutrition, sleep and mindset. Each Ritual completed earns BioPoints towards reducing an individual’s BioAge. While Rituals are something we want people to keep up all-year-round, themed Quests are introduced at six points during the year to boost motivation, encourage learning and create a little healthy competition amongst colleagues as they compete for Leaderboard points. Note: All State Government departments are already registered. All working adults in Tasmania are eligible to join Ritualize through their workplace and help make this the healthier, happier state. Whether you’re the HR person responsible for your people’s wellbeing or an employee who wants to bring new energy, to your workplace, register your interest below. ARE YOU TAKING PART AND WANT MORE PROGRAM DETAILS? Check out our participant page! On completion, Ritualize will contact you (or the person you have nominated) to talk through the simple steps required to enrol your staff and get going! Use the Go Solo Quest as a basis for logging your New Year’s Resolutions in January 2019. 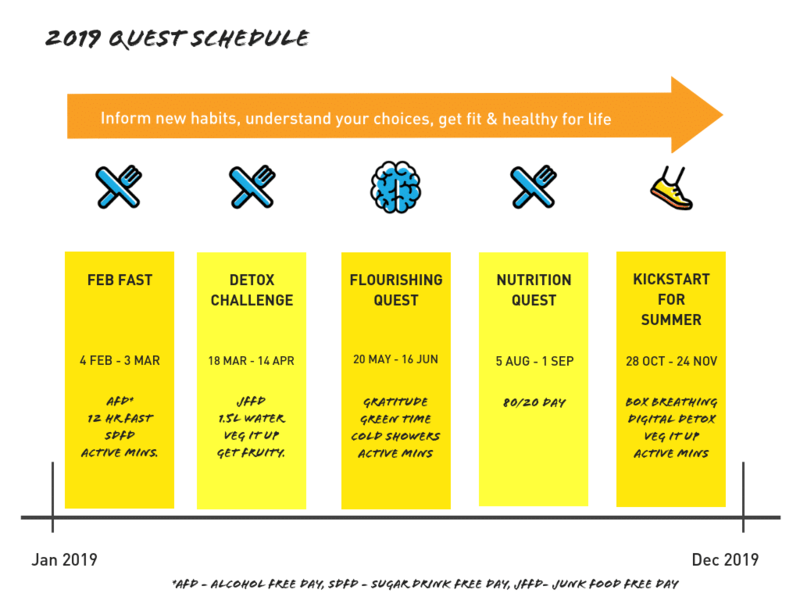 Our next formal Quest will be a Feb Fast inspired challenge currently scheduled for kick off on 4th Feb 2019. Contact info@ritualize.com for more information.